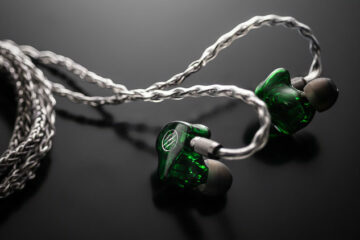 I have done a few Balanced Armature reviews in the last year or so and to be honest for me they have always appealed to neutral or treble heads who prefer the precision detail, tight bass and neutral tonality that a well designed BA IEM can produce. Not all IEM’s with dual armature will sound the same but there is a distinct difference for sure between BA and dynamic. Some are more critical calling them shrill and bass light compared to some better performing dynamic IEM’s but in return the dynamics can lack detail or get lost in the bass being more muddy and a cheap BA if done right can sound a lot classier to the picky ear than a cheap dynamic IEM. Of course you can get hybrids such as the UM Merlin to get the best of both worlds but then you have to pay much more. It is no surprise then that BA is quietly staking a claim as a very strong competitor to dynamic and with companies such as Westone and Fischer Audio rolling out some very nice editions indeed you get the feeling they are here to stay. I am starting to realize though that there is a bang for buck BA below the more premium versions that basically share the same drivers, the Knowles TWFK dual balanced armature driver and some basic research seems to suggest that these variants all come from the same factory shop floored tuned or branded to the buying company’s choice. Fair enough and they do seem to include ones that I have enjoyed before such as the FA DBA-02, the Brainwaivz B2 and the UE700 to name but a few so when David from Top Dog in the UK suggested and sent the Rocket Sounds R-50 and mentioned it was a dual BA then I wasn’t overly shocked to find it looked much the same as those previously mentioned. So yes they do fall into that Knowles gang but what you might be more interested to know before you shake your head and say another dual BA clone, is that the R-50 shakes it’s tail-feather for substantially less cash. Almost one third or half less in fact at 80 quid in the UK and $120 in the US. Let me tell you this, if you are a neutral head and you enjoy the dual BA signature then you are going to enjoy the R-50 and have a few pennies in your pocket from the savings as an added bonus. I can honestly tell you I cannot figure out, all things being equal, how Rockit Sounds managed to squeeze the price down significantly on the R-50 more so than than Fischer or Brainwavz so I can only presume there is more margin to play than I previously thought and the R-50 could herald a wholesale change in cheaper dual BA pricing which would be more than welcome. Packaging wise there is a little less in the box than say a DBA-02 which throws in a few more tips than the R-50 but how much does a few flanges cost these days? Not a whole let to be fair. I do welcome the stiffened over the ear wiring more than the slightly awkward stiffened plastic threaders on the DBA-02. I know it gives you the choice to wear over or straight down but for me over the ear is the way to go with these designs in my experience for a better overall fit in my lobes. Your mileage may vary as always with tip fitting. What you do get are three sized silicon tips, a handy little generic pill case and an airline adapter. Nothing extra such as a cleaning comb or double or triple flanges sadly but hey we are talking $120 here so savings had to come somewhere and to be honest the tips are just fine for me. Build wise I think its on par or very close to it’s higher priced siblings such as the DBA-02 though not as good as the more established players such as Westone. 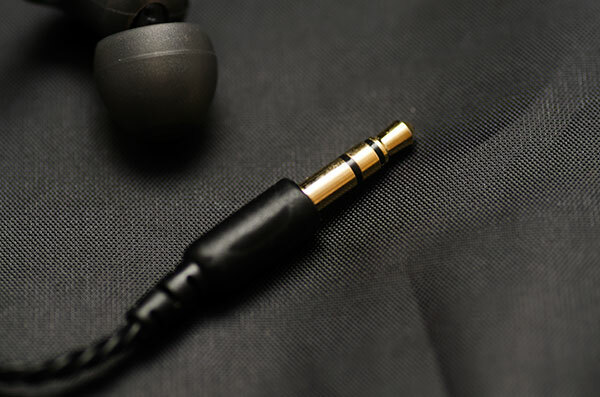 It does sport a fairly solid looking braided cable though stress on the earpiece is a possibility though much less so on a tough and durable looking Y-split packed with decent strain relief on both sides. 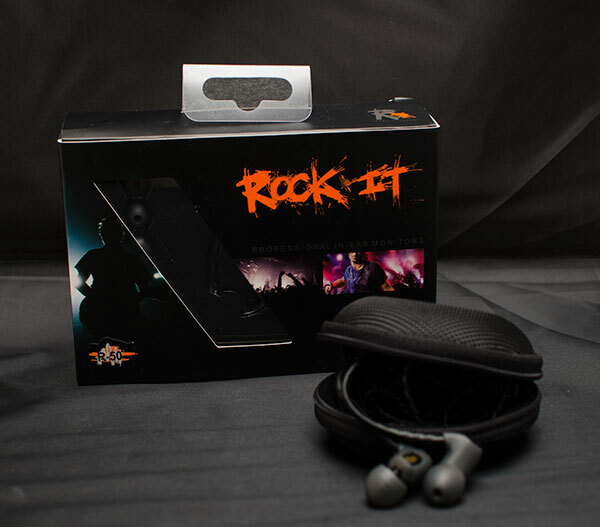 The earpieces themselves are plastic encased in a silicon rubber sleeve. 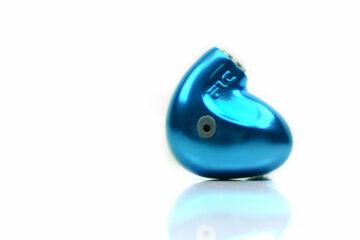 The earpieces themselves are pretty small actually for Dual BA when compared to say the UE TF10 or even a Westone. The connection is terminated with a standard straight 3.5mm jack. Pleasingly the cable is one of the best I have sign at this price level for minimal memory and it neatly untangles itself in a few seconds without any hassle. I have had a few that drove me nuts but the R-50 braided cable is not one of them. Fit wise they were excellent for me out of the box. Isolation and seal with the stock tips was above average and nothing felt loose or uncomfortable. I guess my ear was pretty much made for small IEM’s or custom ones until I remember I was the only audiophile in the village who wore the TF10 without fit issues either so maybe that is too lucky to be true. 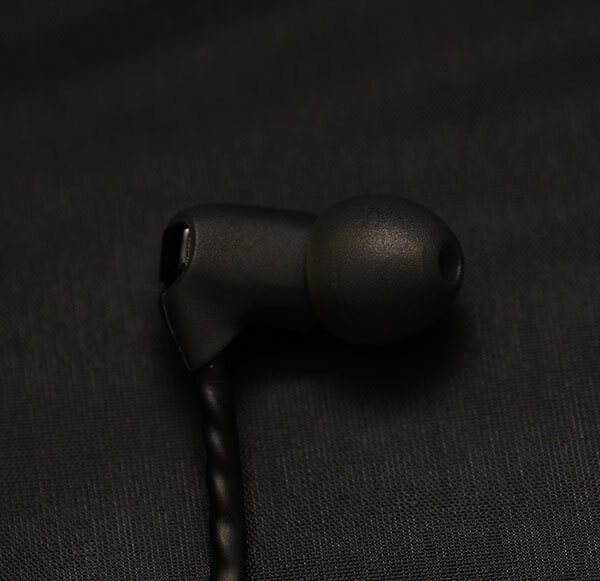 The rubber sleeve on the earpieces added to the sense of comfort also which I can only presume was on purpose after some in-house testing since I have not really seen that before on similar IEM’s. So I mentioned I had tried a few of the Knowles gang of IEM’s before such as the Q-Jay’s and the DBA-02 so to compare with these I would have to say there is a slight but noticeable difference with the R-50 that I think most people will find quite likable. Quite a few times I mentioned it’s rather energetic or hot treble orientated presentation that didn’t bond well for some and ok for others. Truth be told the R-50 shares many of the same characteristics but only it seems Rockit have smoothed out that spiky top end just enough to allow you to focus on listening rather than matching. True enough it is not mellow mid-centric or basshead IEM like an IE80 or my own UM Merlin’s but the articulation and speed is very much there and the top end is just the right side of bright to be much easier on the ear than the DBA-02 or even the Q-Jay’s. It is not all plain sailing though. 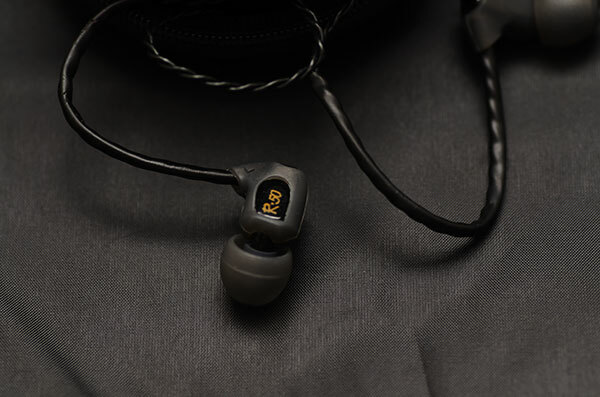 The R-50, much like the rest of the Knowles driven IEM’s still has a panache for rejecting bad recordings like they going out of style and if the tracks are sibilant then you are going to get sibilance. These are no banshee tamers guys, they will beat the hell out of crappy recordings and spit fury on the letter S if you have it in your tracks. Well recorded means well played for the R-50 but the good thing for $120 they play it really well indeed and in some cases better than it’s more expensive dual BA siblings. Play the R-50 to it’s strengths and it can be fantastic value for $120. Max Richter’s reworked Four Season’s in FLAC is clean, detailed and very articulate with a surprisingly well presented sound stage. No doubting the accuracy of the treble with plenty of sparkle to lift that fast paced violin work. Yet the lower end and mid’s have a slight degree of warmth worked into it that is not present in the DBA-02 that whilst doesn’t offset the slight lack of bass impact typical of this driver it does present a slightly thicker more ear friendly bottom end and more natural mid’s presentation when required. Matching with Amps is somewhat easier than with other IEM’s I have come across with the slightly higher impedance rating at 31 ohms than the usual 16 or less. I tested these out of some high end amps such as ALO Audio’s National, International and Continental V2. The International was superb with the R-50 giving it a really natural presentation with a fantastic sound stage on low gain (no need for higher) and for overall quality my preferred choice out of the 3 I tested. The Fostex HP-P1 for igadget lovers was also a pretty good choice with it’s laid back warm and smooth tonality matching quite well and just the right amount of power for the R-50 to shine without loss of control. I wouldn’t match it with the FiiO E12 – too powerful and challenging to control despite it’s warmish tonality. The E11 might be a better budget amp if you are sticking to your guns on budget control. I had fun with the R-50, and it took me a little by suprise to be honest. I fully expected another bright sibilant but detailed and fast dual BA IEM much like the DBA-02 and to some extent I got that but the R-50 is somewhat smoother and less taxing to the ears than previous variants of the TWFK Knowles driver units I have heard before without loosing that detail and top end articulation that it is known for. At $120 or 80 quid (UK) I think its a pretty good bargain. Hey Marcus, Fantastic review as always. As you said they are certainly a bargain at that price. Thanks David – very nice little earphone indeed.